Hello! Welcome to the next stop on the The Lantern's Ember blog tour hosted by Rockstar Book Tours. 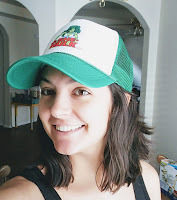 I'm really happy to share my thoughts on this book with you! Fall has officially started (despite Texas not getting the memo), which makes this the perfect time to read spooky stories and eerie tales! I save all of my horror, suspense, and mystery books for the end of the year -- eeep! 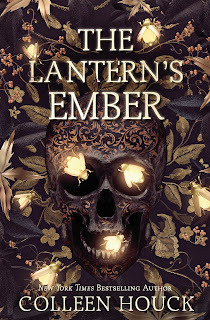 The Lantern's Ember was inspired by the legend of Sleepy Hollow, which has always been one of my favorites. I enjoyed the little references that were peppered in throughout the story! Jack is a Lantern and carries his soul in a pumpkin, he compared Finney to Ichabod (a wizard he terrorized by appearing to look like a headless horseman), and then Ember's Sleepy Hollow. There were others, but I'll let you discover those on your own. Ember was my least favorite character. I found her to be incredibly naïve as she continued to make bad decision after bad decision. She feels drawn to the Otherworld, but ignores all of Jack's warnings. He explained that the two worlds would start blending together, entire towns disappearing on both sides, but she was undeterred. Her decisions only get worse when she meets Dev and the two of them take off without Jack's knowledge. She was way too willing to trust Dev, a vampire that she had just met, even though she sensed he was hiding something and had ulterior motives. Jack was many things. I thought he was sweet and kindhearted, but he would also bully humans and try to be intimating just for fun. He wanted to justify his actions by saying he was only protecting the crossroads, but he enjoyed tormenting people and giving them reasons to be superstitious. He himself has caused much of the lore surrounding his name, and simply because he was toying around while serving his time. Dev was something else. He started off cocky and self-assured, but he quickly became hesitant and possessive. I'm not really sure what sparked the change, but it felt sudden and rushed. I also didn't care for the way he used Ember like a battery. He offered her to anyone that could use her powers, but he made sure he benefited from everything she did. He also seemed to know more than he should, about her powers specifically, which didn't really make sense. He's known witches in the past, but his knowledge seemed extensive. I wish Ember had had another motivation or reason for going to the Otherworld. Yes, she felt compelled to go there, but she never questioned it. She never asked Jack what it might mean, or even Dev. She just carried on like it wasn't abnormal or concerning. I wanted her to question everything and hesitate before siphoning off her power for unknown reasons. There were a few times when I wanted to shake her and tell her to think about what she was doing. A Lantern's Ember was slow at times, because they spend a lot of time doing nothing as they travel through the Otherworld, and we get a lot of descriptions about the nothings they're doing. Nevertheless, I devoured this book in a single sitting. I don't know if it was the atmosphere of the book (think spooky steampunk), my desire for cooler weather, or just my interest in the legend of Sleepy Hollow (there were other tales sprinkled in, too). 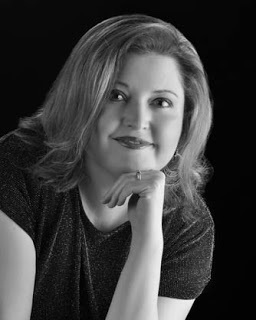 Overall, I enjoyed Colleen Houck's writing, and I thought the story had a very unique twist! 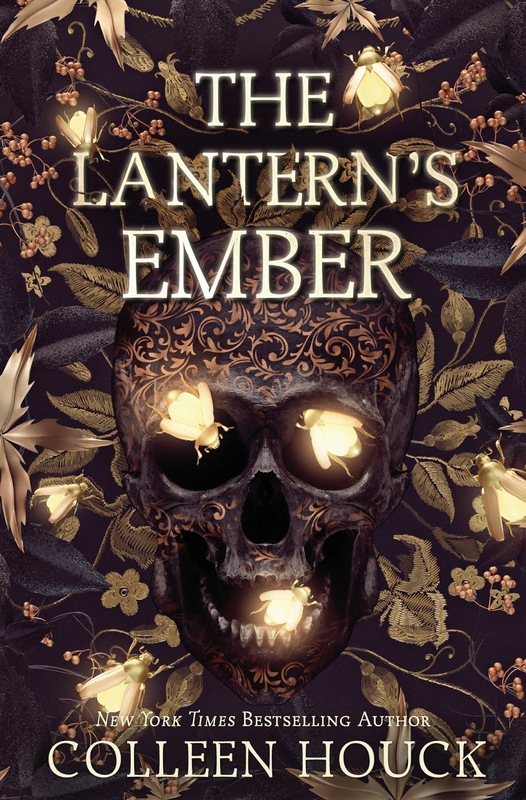 3 winners will receive a finished copy of THE LANTERN'S EMBER, US Only. I thought so! It was an enjoyable read that really put me in the mood for fall. It was a nice story just not everything it could have been I think. ;) Glad you did like it. I wish Ember had been more likable and less immature. She was incredibly determined to get to the Otherworld, but she never considered the consequences. It was like they didn't matter. I thought she was going to be more kickass than she was, too. The weapons she and Finney made, and the fact that she shot Dev without hesitation, made me think she was going to be more bold and challenging. Instead, she's easily swayed and doesn't make most of her own decisions. The love triangle is a little hard to explain... it's more like a love square, but Ember isn't the one expressing feelings for anyone. She seems indifferent to everyone except Jack. She's been interested in him since she was a girl, and her fondness of Dev could be coincidental. Ember has only ever been a friend to Finney, but he's always harbored feelings for her. Jack, Dev, and Finney would all love to be Ember's paramour. However, Ember never really entertains the idea of anyone except Jack. I love that this is based on the Sleepy Hollow story but it sounds like it turned into a bit of a mess. That’s too bad. The story itself wasn't a mess, but I find it hard to fully enjoy a book when the main character makes me crazy. I thought at first she was unsettled in her new environment, but she never really adapts and becomes her own person. She's always doing whatever someone else wants her to do. The whims of others dictate her actions, destinations, and how her power is used or hidden. I wanted her to think for herself, be bold and daring, or at least have a reason for entering the Otherworld. She wanted to see it, yes. There was also a tug enticing her to crossover, but she never had a personal reason for visiting herself. If Ember had been more likable, or even more independent, I think I would have enjoyed it more. Instead, she's the equivalent of a small child being led by the hand. Ooh, sleepy hollow- adding it to my TBR!! It sounds like a fun one, though definitely has parts I'd be annoyed by I think. I don't really care for love triangles and Ember does seem a bit too naive. Thanks for sharing. It was an entertaining story, and I was curious what the lord of the Otherworld and his witch had planned. There are small snippets told from their perspectives, but nothing that indicates what's going on, or what either of them would need Ember for. The love triangle was more of a square, and it's difficult to explain. Ember herself isn't the one trying to decide between multiple suitors, but there are three guys all vying for her attention and love. One is a childhood friend that helps her with inventions and knickknacks. A second is Jack, who has been watching over her for years and protecting her without her knowledge. The third is Dev, a vampire with a fondness for witches, and someone that seems to be immediately smitten with her. The four of them make a love square, though Ember only ever admits having feelings for Jack. The other two were friends. I hope that helps! This does sound very fun for fall, without being too spooky or scary! It wasn't really scary or suspenseful, but it was a fun adventure! Especially once Jack catches up to Ember in the Otherworld. It's a tad slow until then. Okay first of all I had no idea this was a Sleepy Hollow related! That makes me want to read it right there- that and the amazeballs cover. Spooky! But then as I read the review I see a few issues that might bother me too- especially the characters? So I'll definitely go in with moderate expectations if I read this one. Sounds like it hits the right notes on atmosphere though! Spooky steampunk sounds good to me, and I can always skim if the chars irritate me lol! The characters were fine for the most part, but Ember was irritating. Her immaturity and recklessness made me crazy. I have no idea what made Jack, Dev, and Finney see her as a potential love interest. Jack and Dev have lived for centuries, so surely her childlike behaviors would have been insufferable to them. Alas, no such luck. They both want her for themselves, and poor Finney is along for the ride. Overall, it's a really fun read!